She looked like everyone's grandmother: white-haired, plump, bespectacled, and kindly. Only Dorothea Montalvo Puente's eyes, black and hard behind her glasses, hinted at the evil that lurked within. She was the rarest of murderers, a female serial killer--probably the most cold-blooded ever recorded in the annals of crime. This shocking story of the gruesome murder of seven men for profit comes from bestselling author William P. Wood, the Deputy D.A. who had earlier prosecuted Puente for drugging and robbing elderly people. He knew intimately the malice that coursed through her veins, and thought he had seen the last of this callous and calculating woman. But her chameleon-like deviousness helped her reappear as a sweet, benevolent landlord--and later allowed her to escape police custody as they stood in her yard surrounded by the gaping graves. 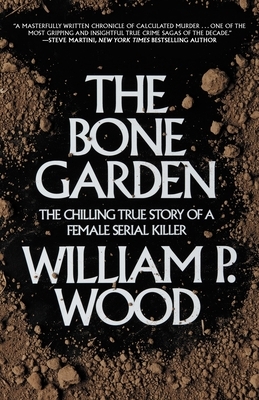 The Bone Garden chronicles the discoveries that ignited a media firestorm and transfixed a nation, putting an entirely new face on evil in this country. WILLIAM P. WOOD is the author of eight novels and one nonfiction book. As a deputy district attorney in California he handled thousands of criminal cases ranging from disturbing the peace to murder. He put on over 50 jury trials, many with multiple defendants.